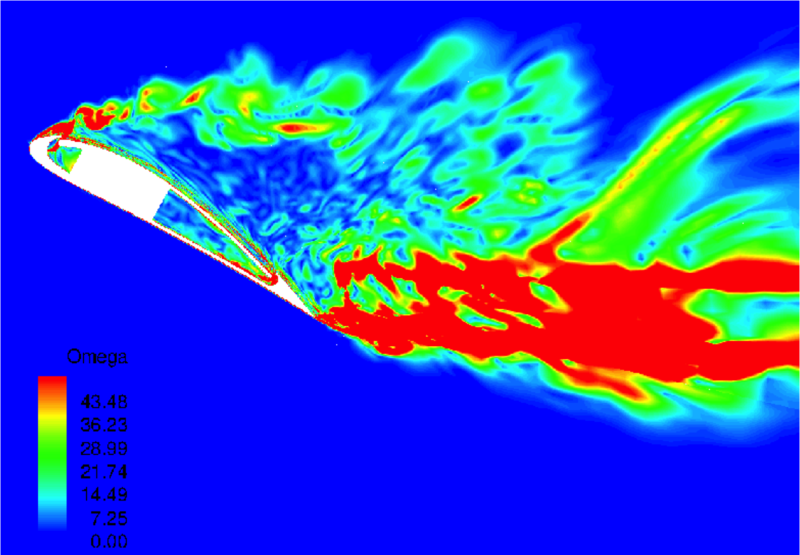 The following animation shows the wind tunnel measured resultant force of a coflow jet airfoil(lower left), which is composed of lift and drag. 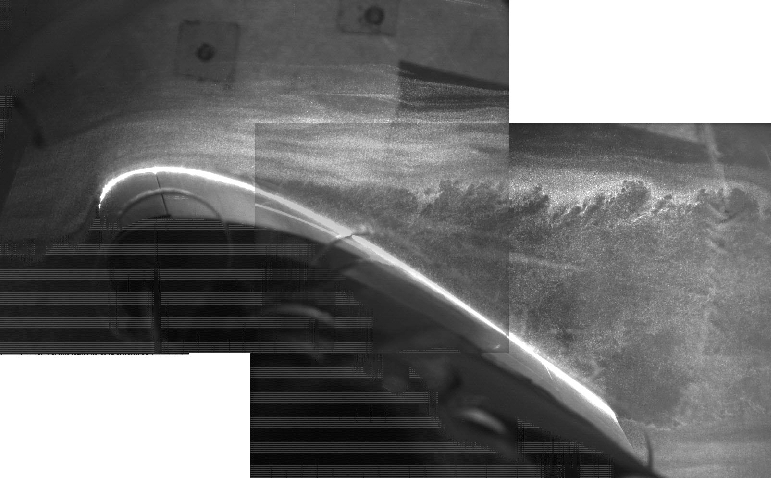 The measurement include the flow visualization on the upper left and PIV(particle image velocimetry) on the upper right. The flow comes from the left at an angle of attack of 25deg at Mach number of 0.1. The right lower animation shows that the coflow jet is turned on at the blue line and turned off at the red line. At the beginning, the flow is massively separated. When it reaches the blue line with the coflow jet turned on, the flow is immediately attached with the lift increasing and the drag decreasing. The resultant force vector becomes vertical since the lift is much more dominant than the drag. When the coflow jet is turned off at the red line, the flow becomes massively separated(stalled) again and the lift is rapidly decreasing and the drag is rising. This animation shows the coflow jet wing is very effective to remove separation, increase lift and reduce drag. Upper: Baseline airfoil flow separation at AoA=20deg. Lower: CFJ airfoil flow attached at AoA=45deg. 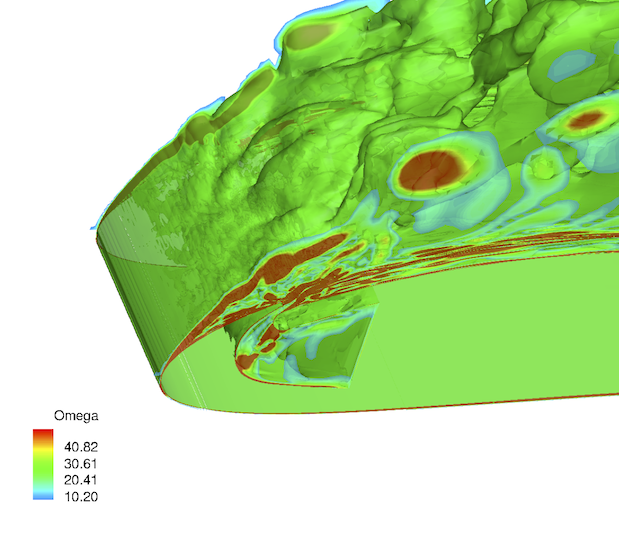 Large Eddy Simulation of Coflow Jet airfoil, vorticity, AOA=30deg.